The U.S. dollar has risen since Friday, despite growing worries the U.S. government shutdown could begin to bite into economic growth. Over the weekend, U.S. President Trump proposed a deal of funding for a widely criticized wall on the U.S. border with Mexico in exchange for protections for certain groups of immigrants to the U.S. The offer was almost immediately dismissed by the opposition Democratic party. Kathy Lien, managing director of foreign-exchange strategy at BK Asset Management, said on Friday that the shutdown appears to have been counter-intuitively boosting the U.S. dollar. She expects that if the stalemate ends, the U.S. dollar will rally, but if it persists, the dollar/yen will take its cue from risk appetite. The yen is viewed as a safe-haven currency and typically rallies when sentiment turns risk-off. The U.S. dollar index was at 96.29 at 8:18 A.M. SGT, up from as low as 96.02 on Friday, according to ICE futures data. 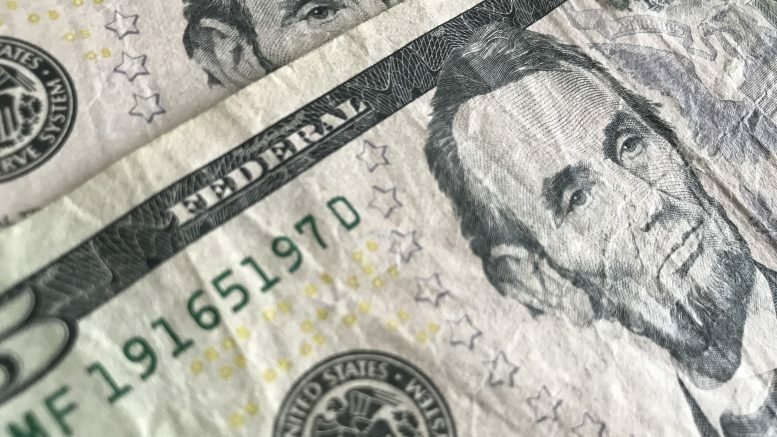 The 10-year U.S. Treasury note yield was at 2.786 percent at 7:59 A.M. SGT, rising from as low as 2.744 percent on Friday, according to Tullett Prebon data. The euro/dollar was at 1.1375 at 8:31 A.M. SGT after trading in a 1.1352 to 1.1410 range on Friday, according to DZHI data. The British pound/dollar was at 1.2863 at 8:31 A.M. SGT after trading in a 1.2855 to 1.2993 range on Friday, according to DZHI data. The dollar/yen was at 109.645 at 8:31 A.M. SGT after trading in a 109.03 to 109.889 range on Friday, according to DZHI data. The dollar/yuan ended Friday at 6.7764 after trading in a 6.7667 to 6.7805 range during the session, according to DZHI data. The dollar/Singapore dollar was at 1.3585 at 8:32 A.M. SGT after trading in a 1.3544 to 1.3586 range on Friday, according to DZHI data. The dollar/Malaysian ringgit ended Friday at 4.11 after trading in a 4.1050 to 4.1158 range during the session, according to DZHI data. The dollar/Indonesian rupiah ended Friday at 14,170 after trading in a 14,150 to 14,195 range during the session, according to DZHI data.